If you are using DD Freedish (DD Direct Plus) then you can add these temp. fta channels from SES8 satellite. These channels are temp. 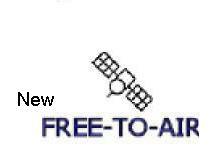 free-to-air due technical upgradation till then you can add these channels in DD Freedish channel list.